There is are some nice running in Mayagüez, on Puerto Rico’s west coast. A popular spot for 5k and 10k races, the Paseo del Litoral Israel “Shorty” Castro stretches about 1.5 miles from the Río Yaguez to Parque Infantil del Milenio. This green and well manicured coastal park also includes restrooms, concessions, and various areas to play sports or relax in the shade. At this end of the path, there’s also an oval running track in the Stadium (Estadio Centroamericano). 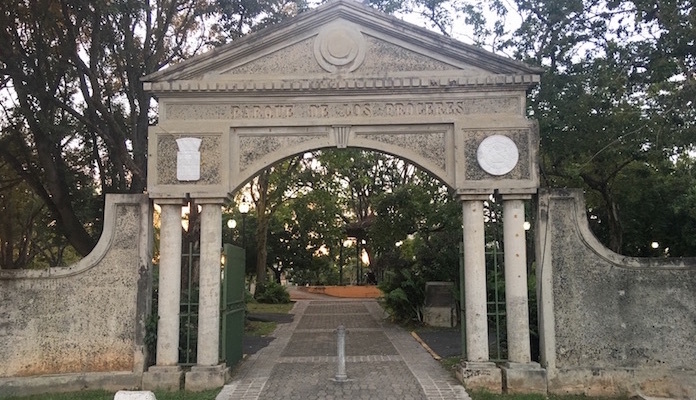 Another top spot to run in Mayagüez is the University of Puerto Rico Campus, which is networked by a collection of well maintained sidewalks and paths. On the south side of campus, these paths intersect with the Parque Lineal and the jogging path around Parque de Los Próceres.